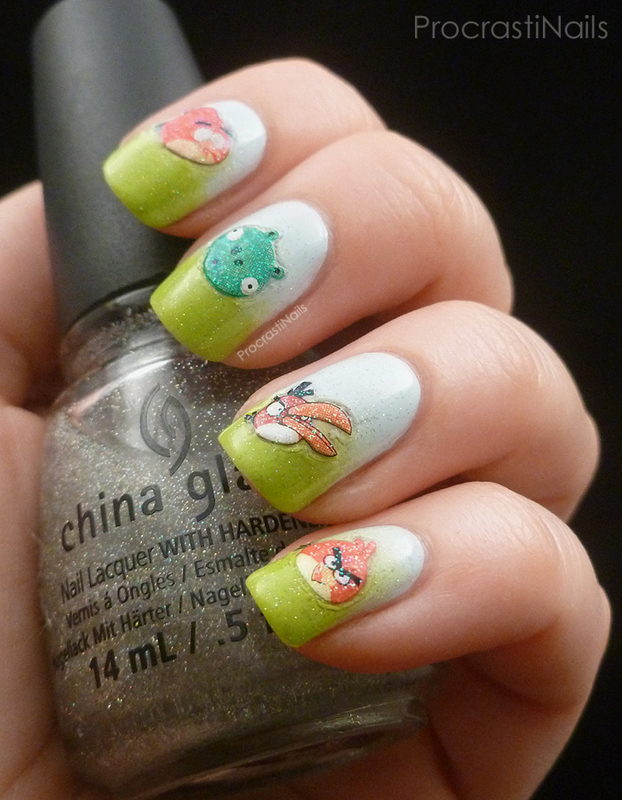 Also known as: I have angry bird nail stickers and I don't know when else I will get a chance to use them. 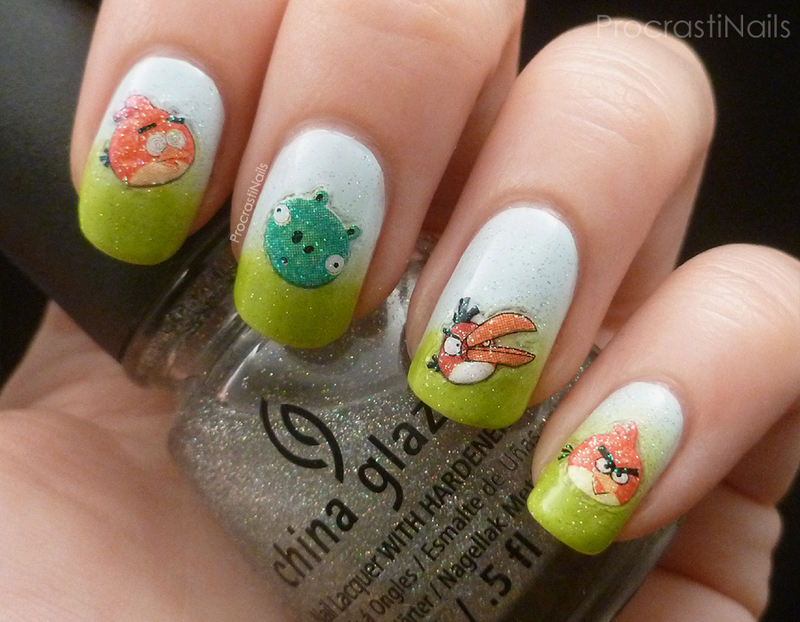 The theme for day 2 of the Embrace Your Geekness Nail Art Challenge was video games. An app is kind of like a video game, right? 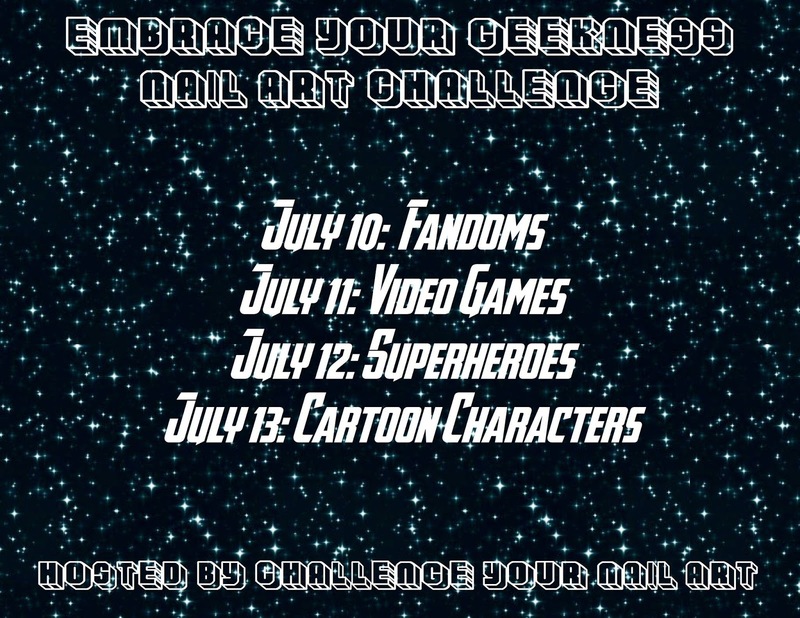 In reality I would've liked to do Final Fantasy nails for this challenge, but because I couldn't think of anything that fit (though I did debate Cactuar nails for a hot second) I went with convenience. I got these in a 99c Born Pretty Store Mystery Lucky Bag and though they've faded a bit since I bought them they went on really easily. :) Check under the cut for more pics and info! I did a basic grass/sky gradient for the base with Essie Find Me An Oasis and Sinful Colors Innocent, and then I threw on a layer of China Glaze Fairy Dust because the decals themselves were also sparkly (and also because why not!). Shiny, sparkly angry birds. Lots of adjectives for these nails! These are so cool! My cousins would absolutely love them and beautiful gradient!